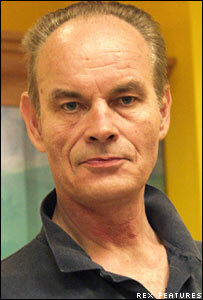 I just found out that my favorite author, David Gemmell, died aged 57 from heart disease on Friday July 28th 2006. I read his books continually and I loved the way his characters were so real and full of life, so flawed and yet capable of good. In his writing he portrayed that there was no such thing as good or evil, just different shades of gray. Extensive historical and subject research gave his books a very realistic base, his bibliographies listing everything from horse husbandry to Roman warfare tactics. He dramatized and brought to life histories great characters, warts and all, for example Alexander the Great, in his books ‘Lion of Macedon‘ and ‘Dark Prince‘, and myths and legends in his ‘Troy’ series. I respect his books because of Gemmells own interesting past, he experienced the worst and the best, the pure and violent, which is why his characters were so full of color. His books are a pure pleasure to read because of the many parables and stories told within the books themselves, which always had the power to make me sit back and think. That element contributed most to the depth of his writing. I will be adding excerpts from his books on the blog over the next few weeks or so. Interviews with Gemmell are here, here and here. He will be extremely missed. i only know what i know about him from you. you spoke very highly of him. and this eulogy is even higher. from what i know his wisdom and insight will be missed in this time of short sighted-ness and over reaction. may his words never be lost and his meanings kept true. Thank you for your kind words… I’ll lend you some books some time. this is a nice tribute, as is passing along his legacy to others such as myself.